It couldn’t have been easy for Eidos Montreal stepping in to develop Shadow of the Tomb Raider. Having previously assisted Crystal Dynamics on the two previous games, this would mark the first instalment when the Canadian developer would assume a lead role. They were handed the unenviable task of concluding Lara’s journey of growth, and would have their work cut out matching the excellence of predecessor Rise of the Tomb Raider. The resulting game is a fitting analogy for Lara’s journey: an uneven trek that suffers some setbacks, but boasts enough highs to warrant a look for enthusiasts of the rebooted series. 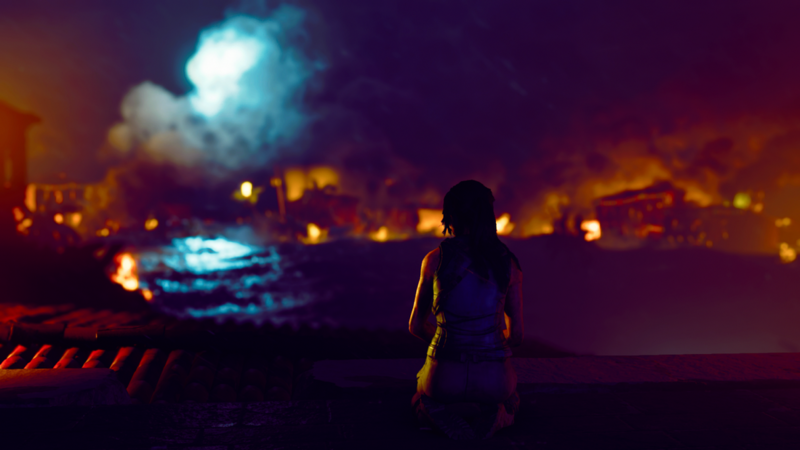 ​After the events of the previous game, Lara and Jonah devote themselves to thwarting the efforts of the military organisation Trinity, which takes them to Cozumel in Mexico. Lara outwits their tomb excavation, coming upon a Mayan dagger which threatens apocalypse if removed. Despite these warnings, Lara steals the dagger, only to be confronted by Pedro Dominguez who chastises her for setting this in motion, causing a tsunami. Powered by guilt and a desire for vengeance, Lara presses on as the adventure throws many pitfalls and tests her way. Though the general story strand isn’t too interesting, Lara is once again the star of the show. Watching her develop over the past two games has been satisfying, and there are some genuinely poignant moments as she faces some of her toughest moments yet. 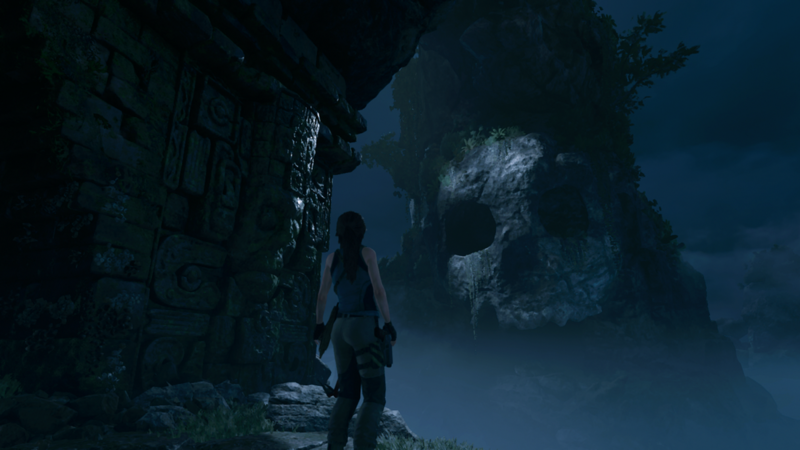 Tomb Raider has long been associated with standout visual moments, and SOTTR is no different. 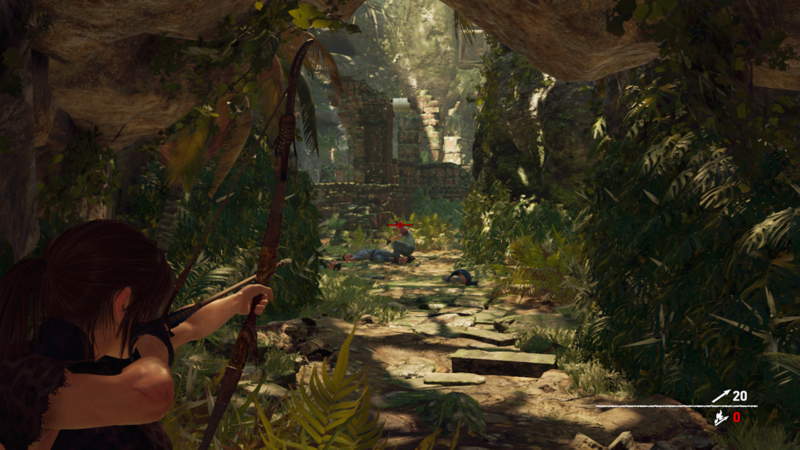 Shadow of the Tomb Raider uses the same template as the last two games. Divided into several larger areas, this adventure takes Lara to the jungles of South America. 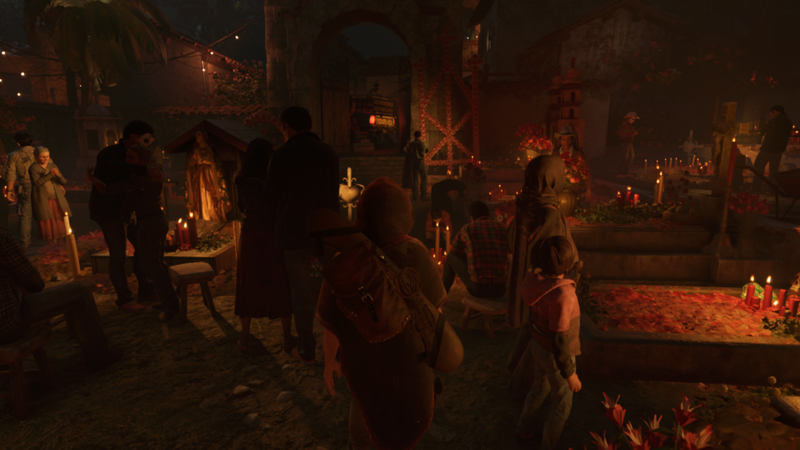 Along with progressing the main story, you can also uncover artefacts, partake in puzzle-focused tomb challenges and help locals by completing side missions. The areas don’t seem quite as expansive as RoTTR, and they can feel static in nature when compared to its contemporaries. But there’s a strong enough spread of activities to keep you interested. Many of the mechanics carry over, such as crafting ammunition and armour, levelling up Lara and unlocking a myriad of skills to assist in combat and uncovering more of the map through upgradable tools. But with more tombs than the previous game, as well as crypts to explore, there is more to the game. But Lara’s newest adventure is undone by mechanics which feel a little long in the tooth. Platforming can be plagued by inconsistency, with Lara failing to grab ledges for no discernible reason and even clipping through the environment on rare occasions. The shooting is more refined, with a plethora of weapons and creatable ammo types keeping the game fresh. It’s a shame that much of this game is spent in stealth, with some even killing Lara if she is detected. Stealth clearly benefits from Eidos Montreal’s experience with Thief, but it’s quite basic. You can always use Lara’s special vision to detect enemies, and they are even shaded red if killing them will cause detection. There are some entertaining tools to use, such as berserk darts which cause enemies to kill each other, but it becomes a tad trite by the end of the game. Shadow of the Tomb Raider also suffers from an apparent reduction in its budget. While plenty of moments are visually spectacular, other moments suffer from dated visuals. The lip animation when interacting with NPCs is awful, the frame rate can struggle in crowded areas and everything just has a flatter, less polished look. Some lush locales and nice lighting do impress at points, but bugs can often spoil these too. Even the sound seems cookie-cutter, with a multitude of weak voice acting from both NPCs and enemies, though Lara and the performance from Camilla Luddington are excellent. The music can often seem innocuous, though some more tribal tracks capture the imagination, lending itself well to the subject matter. Despite some missteps, Shadow of the Tomb Raider, does come with plenty of pros. The highlights are the challenge tombs, which test your intellectual mettle through environmental puzzles. This includes manipulating water levels to ascend the labyrinth, using fire bows and poison gas to create new paths and more. Despite its rote nature in the closing stages, there are some cool tricks you can utilise during stealth, such as covering yourself in mud to hide in special walls, Rambo-style! It’s these moments and highlights which keep Shadow of the Tomb Raider afloat, and for fans of the rebooted trilogy, the positives outweigh the negatives. Lara's "origins" trilogy has modernised and revitilised Tomb Raider, even if this third instalment feels a little dated in places. But for those not enraptured by Lara’s previous adventures, Shadow of the Tomb Raider is harder to recommend. Despite plenty of good points, including the unfolding of Lara’s personal story and some gameplay highlights, these are often undercut by a lack of polish and refinement. 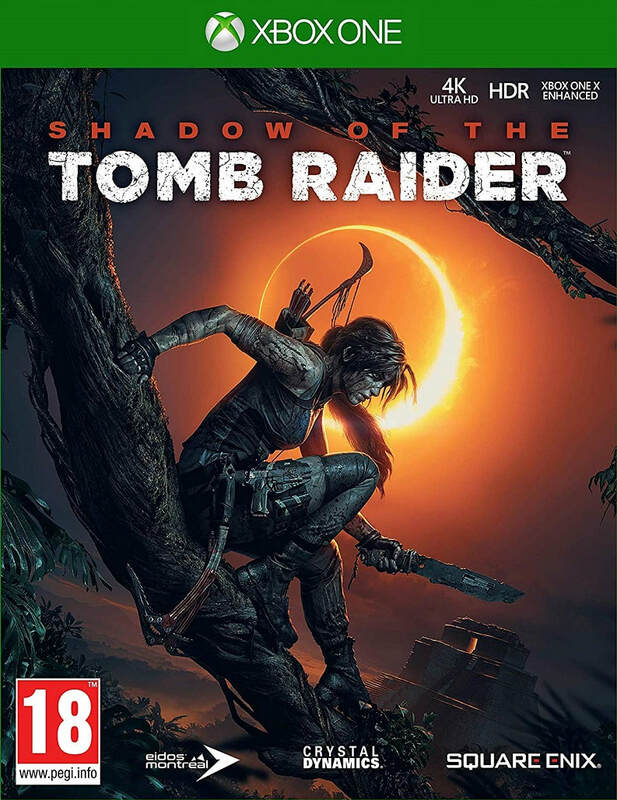 The gameplay can be inconsistent, and while never teetering into bad territory, it feels dated compared to the litany of adventure games which have come in the proceeding half a decade since Crystal Dynamics originally rebooted Tomb Raider. Despite these inconsistencies, it still is a competent adventure which will please fans of this series.